The absence of men in the Albemarle region created new hardships for those left behind. Therefore, women became the sole caretakers of farms with new responsibilities such as plowing, planting, and harvesting crops. 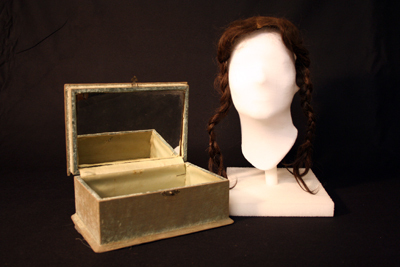 Benjamin Spruill gave his wife Nancy M. Spruill this wig and box when she lost her hair due to an illness. The Spruills lived at Homestead Plantation. 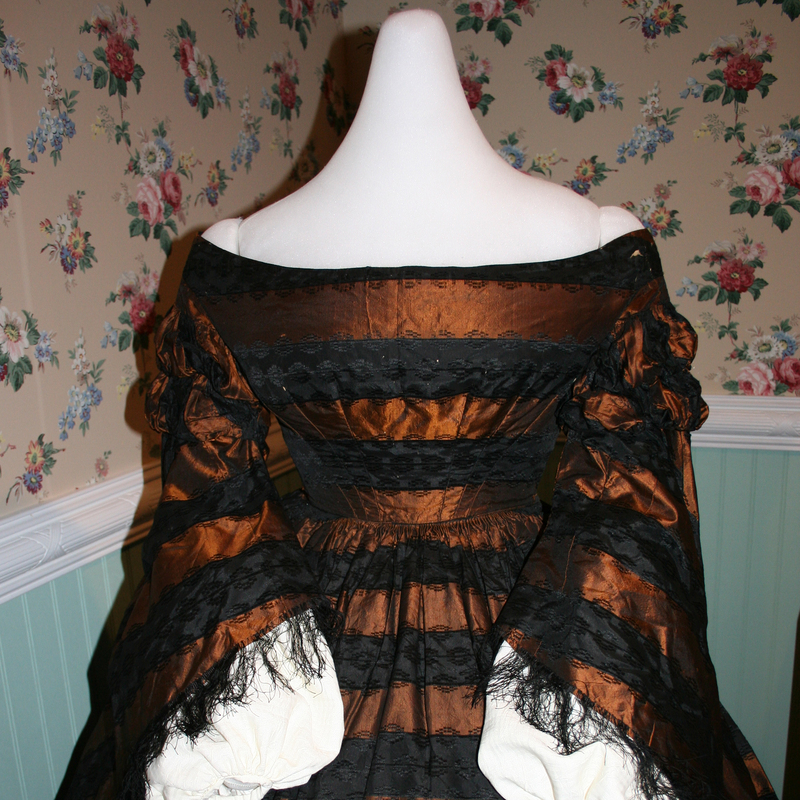 Margaret Bell, wife of Alonzo Etheridge Bell, would have worn this hand-stitched dress for celebrations the day after her wedding. Alonzo enlisted in the Camden County Jonesborough Guards of the Confederate Army in 1861. 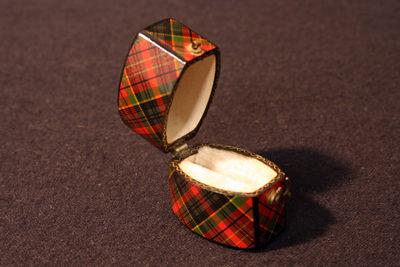 Christopher Hollowell of Bayside Plantation gave Parthenia Weeks Gatling of Cedar Vale Plantation an engagement ring contained in this box. Submit Fearing had these quilt squares. Her son, John Bartlett Fearing, served as Captain of Company L, 17th Regiment North Carolina Volunteers. 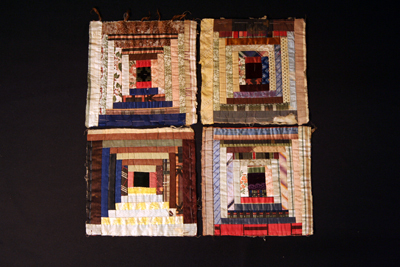 Quilts were sometimes hung in a window when it was safe for deserter soldiers to come out of hiding. Women sewed uniforms and provided supplies such as blankets and socks for soldiers. 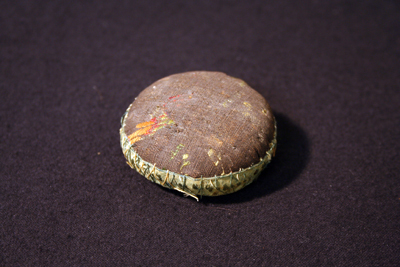 Their sewing supplies would have contained a similar pin cushion.